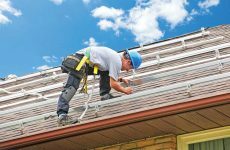 Before mounting a PV array on any residential roof, Jolene Ciosek, marketing for EcoFasten Solar, says it’s critical to inspect the homeowner’s roof. In addition to evaluating the structure of the building and the roof, check the age and type of roof in order to determine the correct steps needed to maintain its integrity. Knowing the condition of the underlayment is essential too, as it is the primary source of waterproofing. Pay close attention to dirt buildup and damage from pests or past work, being sure to repair any damage before installing PV. Roof drainage, traffic, roof access and safety are also extremely important factors. According to Ciosek, it is important to pre-drill and backfill. “Skipping this step runs the risk of cracking or splitting rafters, which causes leaking and liability. Done the right way from the start, there will be no headaches later on,” she says. Barry Cinnamon, CEO of Spice Solar, says to make sure the roof penetration is done properly. One of the more common approaches on a shingle roof these days is through the use of flashings. On the safety side, Cinnamon recommends making sure installers are trained properly, and that they use permanent anchors in the roof. “They cost the same and can be left there, useful for anyone returning to do maintenance. There is no excuse for not having fall protection,” Cinnamon says. Be sure every module is clipped properly so it doesn’t loosen. “In the occasional situation when a panel blows off a roof, it is because the installer didn’t tighten it properly or because the product was designed in a way that prevented the installer from tightening it properly,” Cinnamon says. Milton Nogueira Jr., senior business development manager at Roof Tech, says to seek solar installation guidelines from the asphalt roof manufacturer. Ciosek says to make sure to notch the flashing to fit around nails. This best practice allows the flashing to extend up and under the third course of shingles. Also, position the flashing between vertical joints of shingles as an additional waterproofing measure. The biggest challenge with shingle roofs, according to Cinnamon, is making sure the roof mount is attached to the rafters, which are under the shingles and can’t be seen. Nogueira says the new school mounting approach is with an integrated flashing system that becomes mechanically attached to the roofing system. “With conventional metal flashing, it may be easy to place the upper flange under the underlayment at the time of building a new roofing system, however on a retrofit, which are 90 percent of the installs in the United States, it becomes very time consuming and it may not deliver the best result.” A system with integrated flashing like Roof Tech’s is attached to the decking using clamps with wood screws that are attached directly to the roof and doesn’t require pilot holes or bolts that go into the rafters. Leak-proof RT-[E] Mount systems can be installed on any asphalt pitched roof. Nogueira says the key to installing a PV array is distributing the energy through multiple points of attachment or applying expansion joints. This will help to mitigate the roof torsion, loosening of hardware and water resistance issues related to the effects of thermal contraction and expansion and provide a more reliable, waterproof installation. Tile is going to require a different approach, and a great option for installing on these sensitive roofs is going with hooks. Jared Wiener, VP of marketing at SolarRoofHook, says the design determines what type of hook to use since they vary by tile size, the height between peaks and valleys, adjustability and whether there are battens present on the roof. Before hooks, the only option for taking these roofs solar was replacing the entire roof. Wiener says by the time installers are up on the roof, it’s too late to change an array’s design, so adjustable hooks add value by saving time when it matters most. 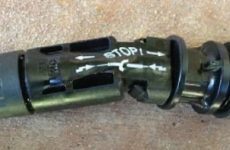 Installation involves only a few steps: drilling and sealing a pilot hole, driving the mounting screw through the hook and driving the mounting screw through the hook and placing the tile back on top. Tiles don’t have to be penetrated. The base or the height of the hook can be adjusted on the roof without being removed. Along with hooks for every tile job, SolarRoofHook also has solutions for asphalt shingle and stone-coated steel. Remember that even the strongest tiles are brittle and break easily, so Ciosek recommends keeping time on the roof to a minimum. Be especially careful not to drop tools while on a tile roof. Before installing, replace any cracked or damaged tiles too because the last person on the roof will usually be blamed for any recent damage. Mission clay tile is fragile and isn’t always ideal for installation due to risk of breakage. Provide homeowners the option to mount with conventional/asphalt underneath. 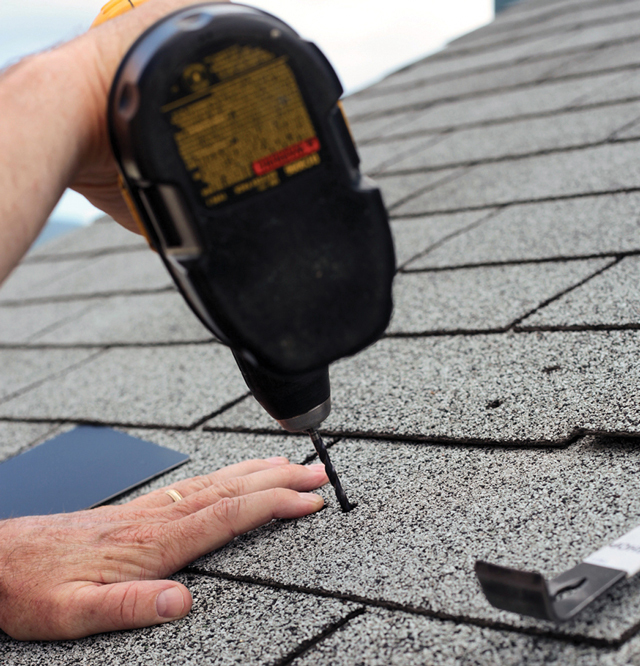 Also, professional roofers can do the “strip-and-go” method, quickly removing tiles from the section of the roof on which the array will be installed and replacing them with asphalt shingles, so installers spend less time on the roof. As a material, slate is very heavy, expensive and brittle. It is challenging to work with because it sits flush with the sheeting on the roof or underlayment, and there is no elevation between tiles that allow a hook to go underneath it. 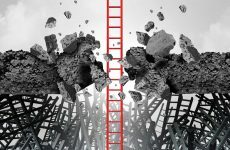 There’s no ability to notch it, and it should never be drilled in any way because cracks will ultimately cause leaking and void the homeowner’s roof warranty. All of that can lead an installer to see slate roofs as burdensome and almost impossible to work with — with few good solutions to help. However, there are a few installation options that are similar to composition shingle roofs that involve removing tiles prior to installation. The slate and composition shingle combo method is the fastest and lowest cost option. It involves removing the slate and placing shingles where the standoff would normally go into in the rafter, using a lag with flashings to protect the roof. Since it is underneath the solar array, it is not noticeable. Depending on the visibility and homeowner’s preference, another more aesthetically desirable solution protects the integrity of the slate. Before installing the solar array, remove the tiles, attach the standoff through a piece of sheeting, flash around the standoff as you would a roof vent and attach a mounting bracket to the standoff. Some installers finish the coverage with an extra piece of slate, cutting around the standoff and installing it after it’s lagged in, flashed and the hook has been attached. For code compliance and to maintain the waterproofing properties of slate roofs, Ciosek says make sure the top edge of the flashing extends up and under the third course of slate. As with any mounting method, it is important to hit the rafter and go as deep as is required according to the wind and snow loads in the area. “One of the advantages of installing a solar PV array to a metal roof is that metal is one of the longest lasting materials on the roofing market, so your chances of needing to re-roof prior to installation are slim,” Ciosek says. For installs on metal standing seam roofing, Ciosek says to use roof mounts that use clamp-to-seam technology via oval-point set screws that won’t penetrate the roofing material. Making holes is not recommended. Make sure the mounts you use will not void a roofing manufacturer’s warranties. On corrugated metal, she says to use a mount that attaches to the sides of the panel, as opposed to in the valley where moisture accumulates. Or, use mounts with waterproofing technologies such as EPDM rubber bushings that will form a compression-fit seal once the fastener is attached. Debbie Sniderman is an engineer and CEO of VI Ventures, LLC, an engineering consulting company. She can be reached at debbie.sniderman@vivllc.com.